2006 DRC Wines For those of you who read John Kapon’s ‘Vintage Tastings,’ you know he tastes many of the world’s greatest Burgundies on a regular basis. He recently reported on a tasting of the 2006 DRC portfolio of wines held for the media and trade in New York City. The 2006 vintage has been overshadowed by the great 2005 vintage in Burgundy, but many connoisseurs are endearing themselves to the 2006 wines. At DRC the grapes were as ripe as in 2005. 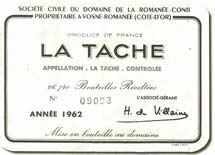 In the words of Aubert de Villaine, “If one can speak of a striking general character of this vintage, it is, indeed, purity: purity of aromas, purity of taste, purity of general expression, all in contrast to 2005 which was a bright, spectacular and symphonic vintage. In 2006 we hear chamber music with more discreet notes, but subtle and complex.” According to Kapon, at this early stage, 2006 was an “underdog” year for DRC with Echezeaux showing up the Grands Echezeaux, Romanee St. Vivant topping the Richebourg, and the La Tache out-muscling the Romanee-Conti. Fine - American Fine Wine Magazine This glossy, beautifully photographed and well written magazine debuted in 2008. 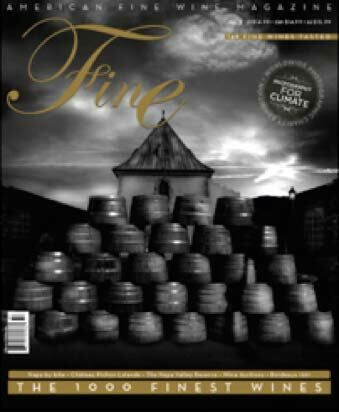 Each quarterly issue is over 140 pages filled with fascinating stories about the world’s greatest wines and wine personalities with tasting notes exclusively of fine and rare wines. The editors are wine professionals who open and enjoy the most rare and valuable bottles on a daily basis - the only wine magazine to do so. The accumulated experience of the staff includes more than 60,000 fine wines from over 200 vintages. The tasting notes give highly useful, fresh information about the condition and optimum drinking window of the wines. The wines are rated as the readers would experience them, with labels proudly displayed, in good company and pleasant surroundings. Scores (on a 100 point scale) are based on how the wine is drinking currently, not its future potential. This magazine represents a fresh new approach to reviewing wine featuring a new generation of wine writers. Highly recommended. The magazine is available from large book retailers in this country or by subscribing through www.fine-magazines.com. WillaKenzie Estate is Oregon’s First LIVE Winery WillaKenzie Estate announced this month that it is the first winery to receive the new Low Input Viticulture and Enology (LIVE) winery certification and the first to be awarded Oregon Certified Sustainable Wine (OCSW) for all of its 2008 vintage wines. LIVE has been certifying Oregon’s sustainable vineyards and individual wines since 1997. In 2008, LIVE created a similar certification process for entire winery facilities with stringent standards that mirror the same principles of its vineyard certification, but address sustainability inside the winery, including winemaking practices, facility energy use, responsible water usage, recycling and worker health and safety concerns. In 2009, the Oregon Wine Board awarded its first Oregon Certified Sustainable Wine (OCSW) designation, which included all 2008 vintage wines from WillaKenzie Estate. The OCSW certification logo will appear on bottles of WillaKenzie Estate 2008 wines. Grim Scenes in Australia’s Wine Country Australia’s worst wildfire disaster recently ravaged the countryside leaving thousands homeless and burning 850 square miles of land. In addition, winegrowers have been rocked by record heat. David Lloyd writes me from the Mornington Peninsula that southeast Australia lost 600k to 800k tons of fruit in the heat. Pinot Noir growers have been hard hit. At David’s Eldridge Estate, which is one of the coolest sites on the Mornington Peninsula, both 115 and 777 have shown damage and in some places there is 60+% loss. Growers in the Yarra and Macedon were hard hit as well. 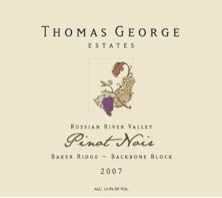 Thomas George Estates Opens After months of redesigning and updating the former home of Davis Bynum Winery on Westside Road in the Russian River Valley, Thomas George Estates is now open to the public. Visit the tasting room daily from 11:00 to 5:00 PM. 707-431-8031. The new website is www.thomasgeorgeestates.com.